Have you ever dreamed of working close to tropical waters where you can have the opportunity to dive, snorkel, swim and spend your free time exploring sun drenched and isolated reefs? 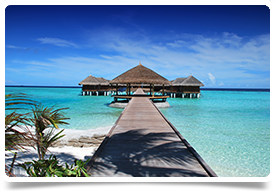 We are excited to be working in partnership with a private hospital in the Maldives that is planning to transform the healthcare landscape of this stunning archipelago. The hospital opened 1st March 2018 and is a world-class tertiary hospital and it’s aim is to improve the standard of health for people living in the Maldives. If you think you may be available to commit to a 2-year contract or longer, please get in touch with me for further details. Yes there is definitely potential to move your family with you and many doctors and nurses who have relocated already to Hulhumale, have taken their families with them. Hulhumale is a small island, therefore space is at a premium however the hospital will provide all specialists with a one-bedroom apartment and if you want to upgrade there are options to do this to a 2 bed/3 bed or even 4 bed apartment (the difference in price is born by the doctor) All accommodation options are close and usually in walking distance to the hospital. There are also some international schools in the Maldives which are very affordable and offer a good standard of education so please ask me for further information if you are thinking of moving your family with you. Head Medical are the UK's specialist in international medical recruitment and we have helped many doctors relocate since we first started out in 2008. We know it’s important to balance career opportunities with lifestyle and we’ll talk through your plans and will get to know you to make sure we find the right role in the right location.